In 2018 China fruit imports were larger than fruit exports. For the first time ever, in 2018 China fruit imports were larger than fruit exports. 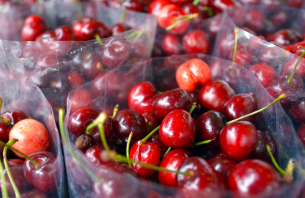 In the case of cherries they were largely unknown by Chinese consumers and now there is passion, even if expensive. Imports grow some 100% or so. A pity that my country, best cherries in the world, cannot compete. We do not have the protocol and, much worse, cherry season in the northern hemisphere does not match the peaks of demand from Chinese consumers (new year). Australia and Chile rule.